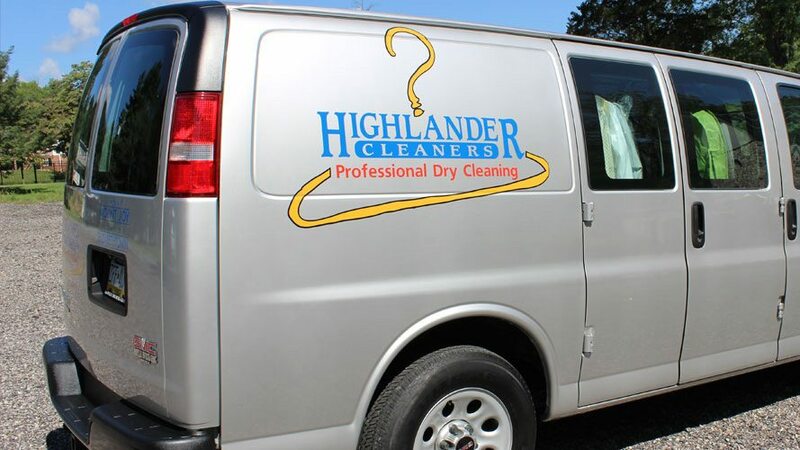 Our commitment to excellence, combined with our focus on superior customer service, are what make Highlander Cleaners a locally trusted dry cleaner. Highlander Cleaners has established itself as a local leader for professional dry cleaning. With locations in Elizabethtown and Mount Joy, we serve residents and businesses throughout Central PA, including in Lancaster, Harrisburg, and Hershey. Our dry cleaning process is aided by the skilled in-house professionals who care for your garments every day. Many of our team members have been with us for over a decade. This ensures quality results every time—whether we’re laundering a single shirt or hundreds of garments for a local business or police department. Shirt laundry: Our shirt laundry process uses state-of-the-art technology, quality detergents and sizings that produce shirts that are bright, crisp and look fantastic every time. With choices of packaging, starch levels and our quality control check to ensure buttons are in place and orders are completed on time, you’ll always be satisfied with a Highlander-cleaned shirt! Suits, dresses and formalwear: Trust Highlander Cleaners to take great care of your work attire and formal wear, while ensuring that every garment—including the most delicate items—is thoroughly and carefully cleaned, every time. Commercial laundry: We dry clean and launder a wide variety of garments and uniforms for organizations throughout Central PA. This includes pickup and delivery for businesses who require routine dry cleaning or laundry services, including police departments, fire responders and other industries. Some of our commercial clients also offer drying cleaning to their employees as a company perk. Leather and suede: Our comprehensive leather and suede cleaning service offers unmatched results for your leather coats, handbags, brief cases and other items. All skins are reviewed and require special care to clean and restore their original color and texture. Household items: Let our skilled professionals clean your draperies, bedding, table linens and other household fabrics. No matter what the use or size, our specialized cleaning process will gently restore and extend the life of your draperies and household goods. If needed, our experienced tailors can also perform any repairs or alterations needed. Hospitality: From hotel bedding to restaurant, banquet-hall and wedding venue table linens, we can dry clean and launder virtually any item including tablecloths, napkins and employee uniforms to ensure your presentation always looks immaculate. Garment restoration: When disasters happen, rest assured that Highlander Cleaners can help. We specialize in restoring garments damaged by fire, smoke and water. Whether it’s a few items or your entire household, we can carefully restore damaged items to their clean and fresh condition. We work closely with each customer to make the process from pick-up to delivery as smooth as possible. Our professionals can also perform antique restorations, including wedding dresses, christening gowns, quilts, cross-stitch artwork and more. Let us handle your laundry for you. Schedule a pickup at your home or place of business. Sign up for our on-demand pickup service and receive $10 off your first order. Print and include this coupon with your laundry for pickup. We offer convenient pickup and delivery at your home or place of business. For individuals, this is a great way to save time and have your garments dry cleaned without interrupting your busy schedule. It’s also a convenient service for businesses, retirement communities, apartment rental complexes and other organizations that require ongoing dry cleaning or laundering.